Speculation was rife yesterday that messaging app WhatsApp was reportedly in talks to sell itself to Google for a nice little (billion-dollar) sum. But the company has now denied that this is the case - although it's not clear whether the fact is that talks have ended or that talks were never happening. Neeraj Arora, WhatsApp's business development head, told AllThingsDigital that the company is in fact "not holding sales talks with Google", though declined to say more than that. This could mean several things. Yes, it could all have been nonsense. Or, Google and WhatsApp may have been in talks at an earlier point, but after the app demanded more than was offered, as rumoured - said to be around $1bn (£653m/AUS$963m) - Google walked away. Or, Arora is just throwing us all off the scent. Certainly, Google's interest in the app makes perfect sense right now. Especially as we're hearing a lot about Google's Babel service (previously known as Babble) which will allegedly place its messaging, chat and VoIP services on the same platform. 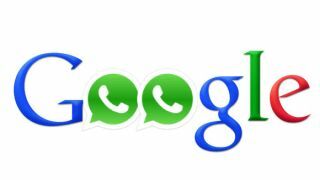 If a deal were to take place with Google, we'd expect to see WhatsApp also sharing the same roof. And given the cross-platform success of WhatsApp, that could be a very good thing indeed.